With the obstacles of the week drizzling to exhausted ends, it seems surprisingly desirable to just sit back and relax. As we prepare to face a new week with more papers and exams, it's easy to feel overwhelmed and a bit out of breath. 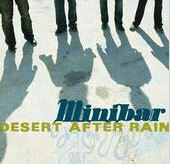 Minibar's new album Fly Below the Radar can certainly take the edge off of a stressful schedule. The voice of Simon Petty has the power and strength to put you in a pleasuring trance. He captures his audience with a deep, rugged, yet coaxing sound. Accompanying him on vocals for certain tracks on the new album are fellow band members and brothers Sid, Jordan and Tim Walker. Together the band creates a mellow yet enjoyable mood, texturing some of their songs with the unique sounds of an accordion and harmonium. Overall, they would be classified as the typical alternative band of today with a few added drops of personality. One thing that can especially be appreciated about Minibar is their ability to soak their music with their own personalities and emotions. While listening, you truly feel as though the band has a strong connection with their music and wish for us to do the same. With the commercial race for bands to appeal to the public and top the charts, it has become hard to sift through the fresh faces of MTV and teen magazines to find a band that seems to be playing for the sake of music itself. Minibar certainly doesn't have the popular Abercrombie model, boy-band look, but that should be considered a good thing. When bands aren't flashing you their make-up and designer clothes it's because they are daring you to look deeper than the surface. Minibar, a band whose name is not quite yet on the tip of every tongue, does just that. Those of us who dare to accept the challenge might be pleasantly surprised.